As designers, we’re educated to hone an arsenal of tools and skills to be prepared for every situation. Got a proposal to renovate 55,000 sf of a science building? Consider it done! 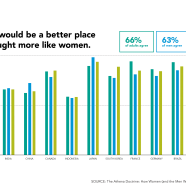 Need to convince the ARB that your design is compelling? No problem! 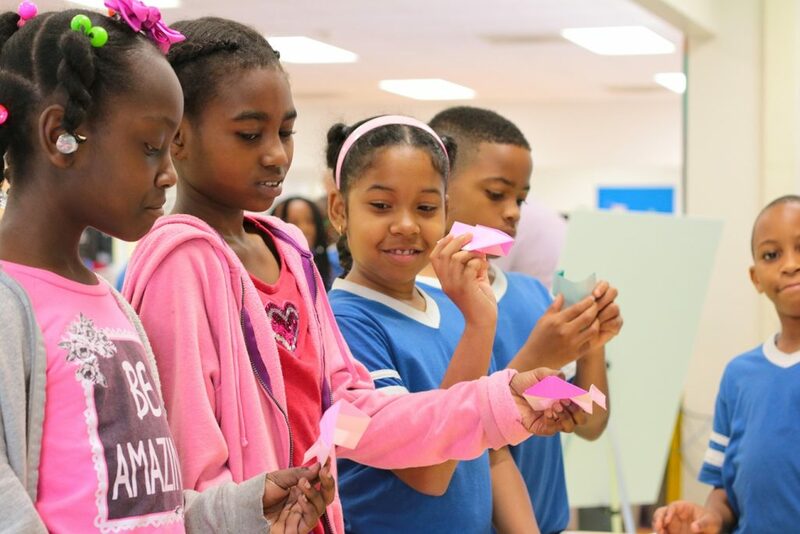 Inspire 48 fourth-graders to pursue a technical or design profession? Challenge accepted! 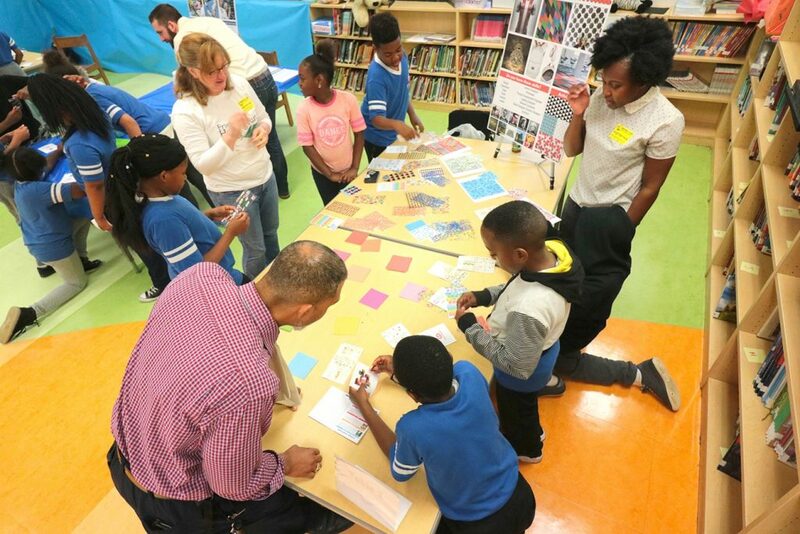 Through the Adopt-A-School program, the Baltimore office partnered with Brehms Lane Elementary, a public charter school of 650+ students. We began planning in February as our relationship with the school grew in the form of sponsoring their STEAM (Science, Technology, Engineering, Arts, Mathematics) program. 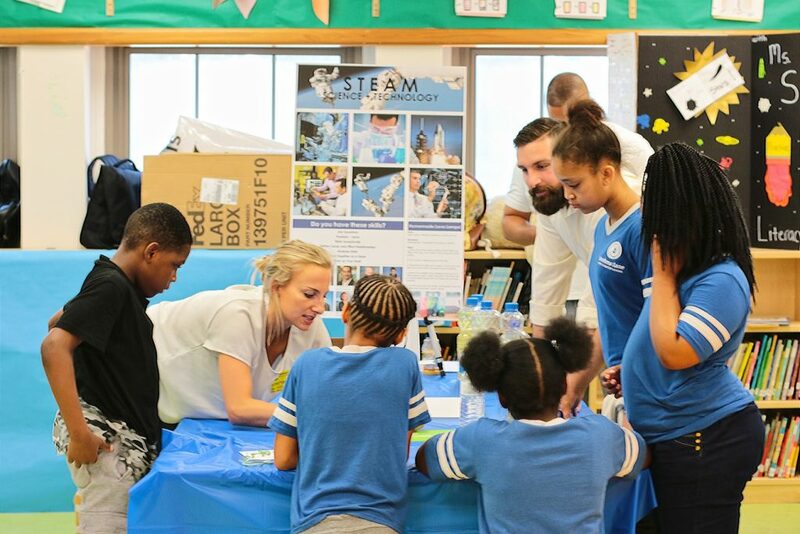 As we were already halfway through the school year, we decided that the best event to do would be a single-day STEAM Career Day to feature career directions in multiple technical fields. We were extremely fortunate that a lot of teachers and older students came to volunteer and supervise the excitement. The principal, Diya Hafiz, stated that this was the first time an outside entity hosted an event for them and that the school was “blessed to have such an enriching experience for her kids.” The genuineness of those words made the months of planning and coordinating worth the huge volunteer effort the team put forth. Furthermore, enabling kids to explore and have them enjoy learning lets us remember the joy from our design jobs.